All reports are created within a data file. 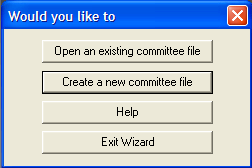 If a committee data file becomes too large, it can result in an extended loading time - a delay in opening the file. This can be minimized by periodically archiving the old MERTS data file based on current election cycle date (Candidate module) or calendar year to date (PAC module). A new data file should only be created at the beginning of the year (PAC module) or at the beginning of the current election cycle (Candidate module) to avoid having to recreate reports. 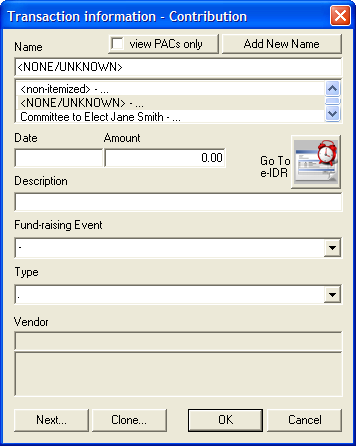 This MERTS Procedure provides step-by-step instructions on how to archive reports by creating a new committee data file while retaining the database of names. This procedure can be done by any MERTS user. 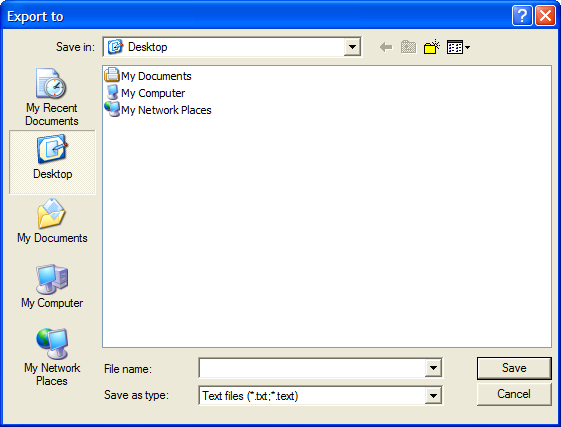 Prior to exporting any names, create a back up copy of the file to guard against any possible problems. 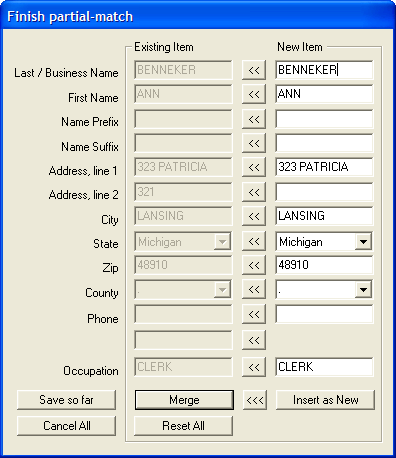 With current data opened in MERTS select the File, then Export Names option on the menu bar. 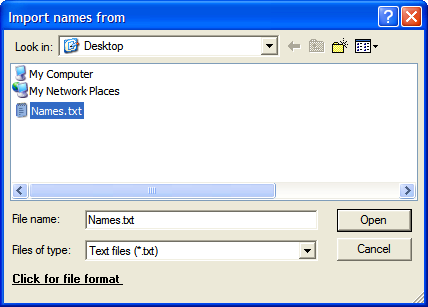 In the ‘File name:’ field, type the desired file name (e.g., Merts_export_names.txt). The only acceptable format is a text file (.txt). Left Click on the ‘Save’ button. A complete list of your Names has now been exported to the specified filename in a comma delimited text format. In order to retain the Individual/Employer linked relation, the Import process must be started prior to creating the new committee data file. A new data file will be created during the import process. Upon opening the software the “Would you like to” box display as shown below. Select Exit Wizard to continue with the importing process. 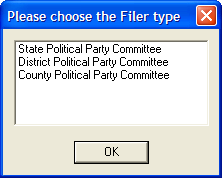 For PAC module, a ‘Please choose the Filer type’ window will appear. Select the appropriate type and Left Click the ‘OK’ Button. 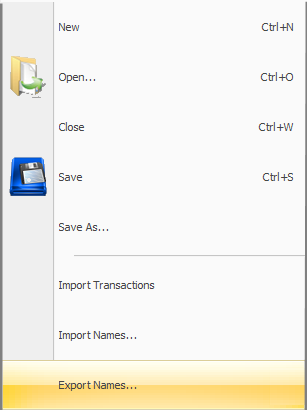 With MERTS application opened, select the ‘File’ then ‘Import Names’ option on the menu bar. 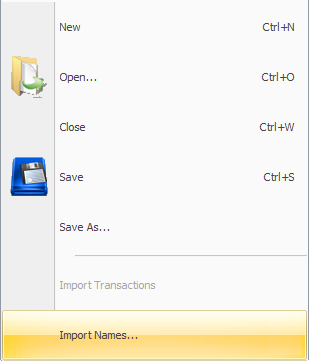 An “Import names from” window will appear. In the “Look in:” field, select the location of file to be imported. Select the file to be imported and Left Click on the ‘Open’ button. Different Names with the same address are seen as separate records. A new name will automatically be loaded into the system. 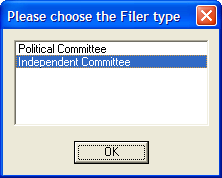 The names have now been imported into the newly created committee data file. After creating the first report of the year, the beginning cash on hand needs to be adjusted. With the ‘Report’ tab active and the first report highlighted, select ‘View’ Summary Page and Data Entry screen from the menu bar. In order to adjust the beginning cash on hand, a contribution must be created using a date prior to the current report and current calendar year (PAC Module) or current election cycle (Candidate Module). This will ensure the contribution does not get totaled into the current activity. Double Left Click on line the Contributions. This will activate the ‘Transactions information’ window. In the ‘Name’ field, select ‘<non-itemized>’ as the contributors name. Enter the date prior to the current report and current calendar year. ‘Amount’ field, enter the opening cash amount for the current year. ‘Description’ field, type the following “Opening Cash Balance”. Left Click on the ‘OK’ button and the current report should reflect the new opening balance. NOTE: When amending reports that include a monetary change which affect the balance, all subsequent reports should be amended as well. If multiple data files exist, the files containing subsequent reports to the amendment should be amended also and the ‘Opening Cash Balance’ transaction adjusted accordingly.